Persons in this position provide a range of specialized medical diagnostic and treatment services to patients. PNPs in this position work under the supervision of the Medical Director / Chief Psychiatrist. As designated Nurse Coordinator, the incumbent provides supervision to assigned nursing staff. Persons in this position are classified exempt under the Fair Labor Standards Act. Responsible for other duties as assigned, consistent with agency policies and procedures. Thorough knowledge of community behavioral and developmental health treatment services, and demonstrated interest in serving individuals with serious mental illness; knowledge of treatment protocols for individuals with a co-occurring intellectual disability and/or substance use disorder; thorough knowledge of the principles of recovery; ability to provide professional treatment services consistent with professional licensing in Virginia; ability to write concisely and effectively; excellent interpersonal skills; demonstrated good judgment. Incumbent must have a Masters of Science in Nursing, and have graduated from an accredited program for nurse practitioners. He/she must show current certification and/or licensure as a Psychiatric Nurse Practitioner by the American Nurses Credentialing Center, and in Nursing. He/she must possess and maintain current licensure and prescriptive authority in the Commonwealth of Virginia and with the DEA. At least two years of experience in a mental health treatment setting is preferred. Staff member is responsible for submitting proof of license renewal to the Human Resources office. Equipment: Computer and electronic health record; voice mail. Work Environment: General office environment with standard lighting levels, temperature ranges, air quality, ventilation, and noise levels. Work Location: 1241 and 1353 N. Main St. office; other facilities as needed. Work Hazards: Standard hazards associated with human service and/or behavioral health office environment; occasional hazards associated with problem behaviors and necessary use of medical procedures. Use of universal precautions required. Work Schedule: Office hours as defined in letter of employment; additional hours as needed to fulfill job requirements. Regular attendance is required. Provides oversight, supervision, technical direction, and administrative leadership in the areas of reimbursement and accounts receivable. Coordinates the daily operation of the Board’s accounts receivable system and performs highly technical third-party transactions and consumer account adjustments. Maintains the reimbursement/accounts receivable functions within the electronic health record software and serves as primary contact for reimbursement-related service changes and updates. This position reports to the Controller. Assists in hiring and supervises staff and directs day-to-day functions related to reimbursement. Specifically, provides oversight and staff supervision for activities associated with accounts receivable, direct and third-party billing, and fee collection. Interprets, implements, and assesses staff compliance with related Board policies and procedures. Maximizes fee revenue within Board policies and procedures, and usual and customary practices. Recommends reimbursement policies and procedures to Controller. Responsible for other duties as assigned, consistent with established operational policies, procedures, and practices. Thorough knowledge of computer operations in automated accounts receivable systems; thorough technical knowledge of Medicaid, Medicare, and other third-party payer systems, regulations, and procedures; skills in effective supervision of technical areas with the ability to ensure staff accountability, efficiency, accuracy, productivity and effective interactions with staff and consumers; ability to make appropriate independent decisions and take related action based on knowledge of Board policies, procedures, and practices; ability to perform detailed, accurate work; excellent customer service and organizational skills; ability to maintain confidentiality; excellent communication skills, including speaking and writing; excellent interpersonal skills; good judgment, tact and courtesy; efficiency; dependability; and ability to be a team player. Completion of high school, preferably supplemented by college or business school courses; plus, four years of progressively responsible experience in reimbursement and/or billing areas utilizing third-party payer systems; supervisory experience preferred; OR any equivalent combination of experience or training which provides required knowledge, skills and abilities. Equipment: PC and designated software, adding machine/calculator, copy machine, fax machine, and telephone system. Work Environment: General office environment with normal lighting levels, temperature ranges, air quality, ventilation, and noise levels. Work Location: HRCSB North Main Street Campus, Harrisonburg, VA.
Work Hazards: Some hazard associated with repetitive motion necessary for data entry/typing; standard hazards associated with human services environment. Work Schedule: Monday through Friday, regular office hours; some evening hours as scheduled; additional hours as needed to perform job requirements. Regular attendance is required. This position is required to take at least five consecutive days of leave each year. The Residential Advisor/Program Assistant provides administrative assistance and direct client services to residents of Market Street House (MSH). Residents of MSH are individuals with serious mental illness who require support and skills training in daily living. Serves as member of Residential Services team to provide a variety of residential supports to clients in individualized settings. This position has primary responsibilities for providing program assistance to Residential Site Supervisor and office administration for Market Street House. These include responsibility for assigned reports, coordinating vehicle maintenance, and coordinating facility repairs. Incumbent will provide monitoring of an array of program functions, client documentation, and facility needs. Schedule is primarily daytime Monday- Friday, but is willing to work flexible schedules as needed for the program. Additional responsibilities could include training and support in daily living skills, household management skills, supportive and/or education counseling, client goal-setting and progress evaluation, and activities to promote community integration. The residential advisor also provides on-site support with facility and grounds maintenance. Supervision is provided regularly by the Residential Site Supervisor of Market Street House. The work requires that confidentiality be maintained in accordance with Board policy. Discretion and independent judgment in providing services are required. This position is classified non-exempt under the Fair Labor Standards Act. Monitors to ensure Individual Services Plans and Monthly Summaries are completed and dated correctly; notifies Residential Site Supervisor of any exceptions. Completes other duties as assigned by Residential Site Supervisor. Delivers medications to HRCSB clients in the community enrolled in mobile meds program. Working knowledge of mental illness and substance abuse; some knowledge of principles, practices, and methods of mental health education and counseling; principles of record keeping and documentation; basic ethics appropriate to a helping relationship including confidentiality issues; demonstrated ability to work with targeted populations; ability to instruct and support clients; ability to work effectively with clients and service providers in the community; good interpersonal skills including the ability to empathize, demonstrate respect, communicate warmly and honestly, and allow a client to assume responsibility for himself-herself; show good judgment and ability to communicate effectively, both orally and in writing; competent computer literacy and word processing skills required; demonstrated ability to complete a variety of administrative and program tasks; demonstrated ability to be timely and accurate with reports and related documentation. Possession of a valid driver’s license and acceptable driving record. Mandt training, Medication Administration Training, CPR Certification, First Aid Certification. Graduation from an accredited college or university with a bachelors degree in human services or a related specialty plus one year of experience in a mental health, mental retardation, or substance abuse setting; OR any equivalent combination of experience and training which provides the required knowledge, skills, and abilities. Work Environment: Market Street House Apartment, community settings, and offices with lighting levels, temperature ranges, air quality, ventilation and noise levels as provided each setting. Work Location: Market Street House, community settings. Work Hazards: Standard hazards associated with human service residential environment including hazards associated with problem behaviors; occasional hazards associated with community activities; occasional hazards associated with being the sole staff member on premises. Work Schedule: Schedule is primarily daytime Monday- Friday, but is willing to work flexible schedules as needed for the program. 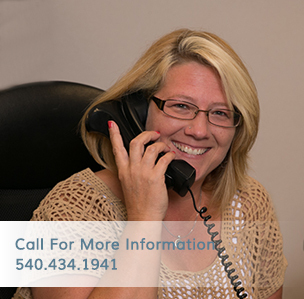 To provide direct client services through the Infant & Toddler Connection of Harrisonburg-Rockingham, an early intervention program for children with developmental delays or disabilities, a service of Harrisonburg-Rockingham Community Services Board. The Infant Development Professional is directly responsible to the Local Systems Manager. He/she is expected to exercise considerable independence and autonomy in day-to-day decision-making about service delivery and to participate with other Early Intervention staff in assessments, planning, and service delivery. He/she is expected to exhibit expertise in the area of special education, early childhood development, and/or intellectual and developmental disabilities. The position requires the ability to work effectively with parents and infants, work cooperatively with staff from other agencies, and work as part of a team. Responsible for other duties as assigned, consistent with established policy and procedure. Excellent diagnostic and evaluative skills in all areas of development in infants and toddlers. Thorough knowledge of the principles of child development and intellectual and developmental disabilities. Good interpersonal skills with the ability to teach and to communicate clearly and effectively, both verbally and in writing. Ability to work and relate effectively to persons from a wide variety of educational and socioeconomic backgrounds who may vary markedly in their level of sophistication regarding infant and toddler development. Exhibits consistently good judgment and a high level of independence and initiative. Ability to work effectively as a team member and with a variety of community agencies. Basic computer literacy and word processing skills preferred. Graduation from an accredited college or university with a Bachelor’s Degree in child development, special education, early childhood education or related discipline; Early Childhood Education or Special Education licensure; OR any equivalent combination of experience and training which provides the required knowledge, skills, and abilities to meet highest standards for employment as required by the Infant & Toddler Connection of Virginia. Staff member is responsible for submitting proof of license renewal to the Human Resources office. Experience with infants and toddlers, particularly those who have disabilities, is very desirable. Work Environment: Individual’s homes, facilities, and office with lighting levels, temperature ranges, air quality, ventilation and noise levels as provided in each setting. Work Location: Individuals’ homes, facilities, and community settings.